"For we are opposed around the world by a monolithic and ruthless conspiracy that relies primarily on covert means for expanding its sphere of influence - on infiltration instead of invasion, on subversion instead of elections, on intimidation instead of free choice, on guerrillas by night instead of armies by day. It is a system which has conscripted vast human and material resources into the building of a tightly knit, highly efficient machine that combines military, diplomatic, intelligence, economic, scientific and political operations. Its preparations are concealed, not published. Its mistakes are buried not headlined. Its dissenters are silenced, not praised. No expenditure is questioned, no rumor is printed, no secret is revealed." - John F. Kennedy, secret society speech on April 27, 1961. (murdered on November 22, 1963). The "modern" world of so-called Western Civilization began at the end of the 17th century with the blossoming of the British Empire. The British Empire was regarded as the most powerful Empire in the world during the 18th Century. The underpinnings of that empire actually began several hundred years earlier with the establishment of the ‘City of London’1, which is now an 800-year old corporation that controls finance and philosophy for an entity called the Crown. This entity is the creator and controller of the Bank of England and the US Federal Reserve. They also control the World Bank, the IMF and associated cartels. The Crown has never been the King or Queen of England since the establishment of this corporate body. 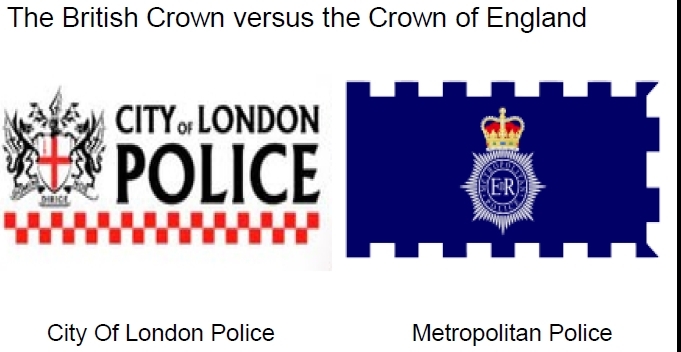 The Crown is the directorate of the corporation. The island of Britain is a financial oligarchy run by the "Crown" which refers to the "City of London," not the Queen. The City is a sovereign state located in the heart of greater London. It became a sovereign state in 1694 when King William the third of Orange privatized and turned the Bank of England over to the banksters. Considered the "Vatican of the financial world," the City is not subject to British law. Operations wherein The City take part, is greatly influenced by the Bank of England, which is a "private" corporation. Part 1. The Crown Identity. Part 3. The influence of the Crown on the world today.